Herbarium of the Institute of Botany and Botanical Garden “Jevremovac” of the Faculty of Biology, University of Belgrade, is one of the most significant and the richest herbarium collections not only in Serbia but in the whole of S.E. Europe. This herbarium was established in 1860 when Josif Pancic donated his collection to the Great School in Belgrade. After Pancic, who established the herbarium, Jurišic, Ilic, Nicic, Pelivanovic, Košanin, Soška, Adamovic, Blecic, Rudski, Cernjavski, Tatic, Jankovic, Stevanovic, BlaženCic and many other botanists have contributed to its enrichment. 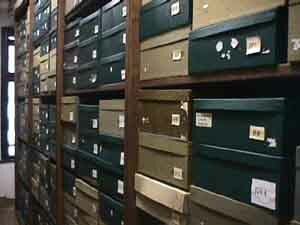 Currently, 139 years after its establishment, the Herbarium numbers more than 150,000 herbarium sheets which contain the plant material collected in the Balkan Peninsula, as well as a great number of exsiccates obtained through the exchange with other countries in Europe and worldwide/beyond. It also incorporates a herbarium collection of the Institute of Ecology and Biogeography of the Serbian Academy of Sciences and Arts as well as the collections of the Chair of Plant Ecology and Geography, the Chair of Plant Systematics and Taxonomy, and the Chair of Algology, Mycology and Lichenology.The plants contained in these collections have not been analysed and classified as yet. The collection, by the name “Pancic’s Herbarium” (Herbarium Pancicianum) is currently housed, as the separate entity, in the Herbarium of the Institute of Botany and Botanical Garden “Jevremovac” of the Faculty of Biology, University of Belgrade. The Herbarium of the Institute of Botany and Botanical Garden “Jevremovac” of the Faculty of Biology, University of Belgrade is included in the international list of official world’s herbaria under BEOU code. Takovska 43, YU-11000 Beograd, Yugoslavia.